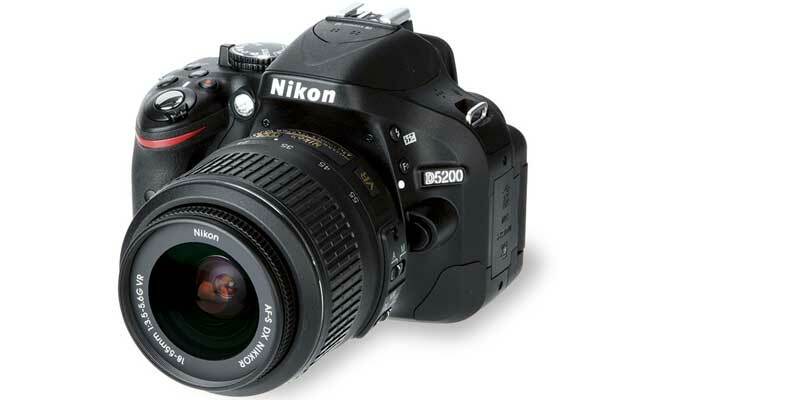 Nikon D5200 DSLR Camera with 18-55mm VR kit lens. 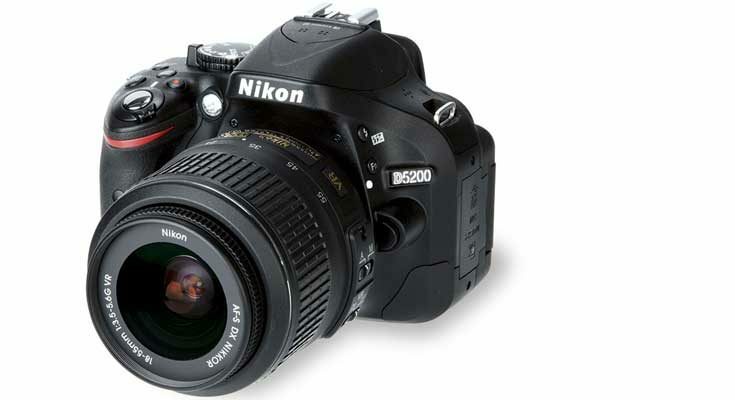 The Nikon D5200 digital SLR camera is the ideal companion for unleashing your creative potential. 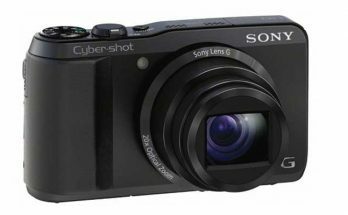 With a 24.1 megapixel CMOS DX-format image sensor, full 1080p HD movies, precise 39-point AF system, Expeed 3 image processing, and standard ISO up to 6400, it offers superior performance in a compact, lightweight body. 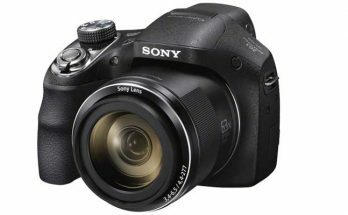 The D5200 enables flexible shooting with a vari-angle LCD monitor, making even self-portraits possible. 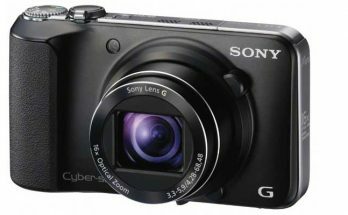 Additional features include: 2,016-pixel RGB sensor with built-in Scene Recognition System; 5 FPS continuous shooting; 7 Special Effects; Support for the optional WU-1a Wireless Adapter; new graphical user interface.